Simply Dun Farm's Show Team has riders from 4 to 67, covering a wide range of abilities and disciplines. We are a close knit team who supports each other. Showing is about testing your riding skills, but we make it as stress free as possible for you and your family. You can either show your own horse with us, or use one of our lessons horses. We take large groups and small groups to different shows. 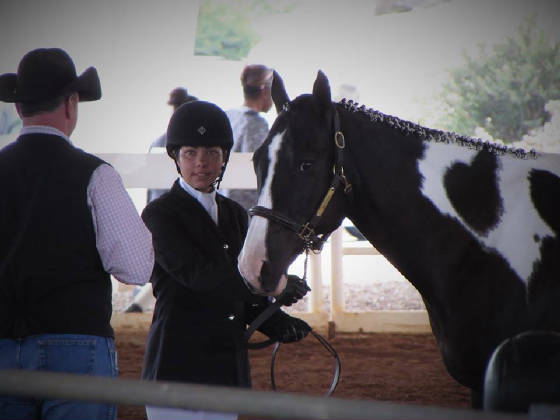 These shows include Western Dressage, Classical Dressage, Ranch Horse, Miniature Horse Shows, and local shows that have English and Western Discipline. We take a full staff to the shows to ensure that your show experience is fun and successful.